when you rent out one of our decked out party buses for your special occasion! 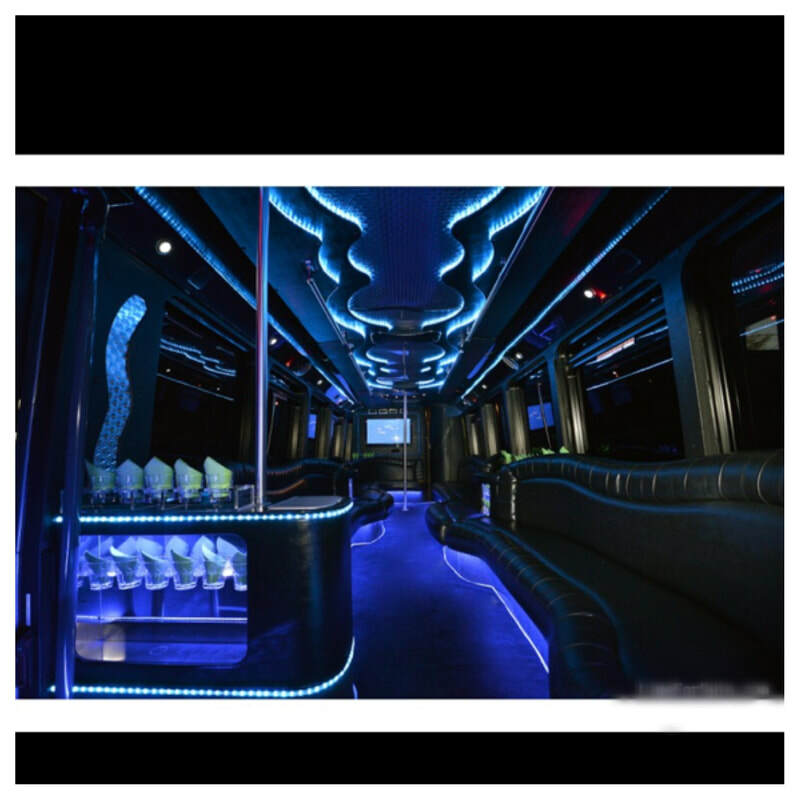 Party Bus SF is the premier choice for party bus and bus rentals in the San Francisco Bay Area. We have a dedicated team of staff members and drivers who know how to help you throw an amazing party on wheels and are committed to providing outstanding and safe party bus services where ever you go! We provide party bus transportations services to any place throughout the Bay Area--San Francisco, East Bay, South Bay, North Bay, Peninsula, Tri-Valley, and Napa Valley. Our drivers know every route like the back of their hands and will get you to your destination in fun, safety, and comfort. Our party buses are perfect for any occasion--prom, bachelor party, bachelorette party, birthday, wedding, sporting events, concerts, graduation, Quinceanera, wine tour, brewery tour, corporate events, city tours, church trips, casino tours, and holiday parties. We have party buses of many sizes to accommodate your specific needs. Please call our friendly staff or fill out the instant quote to get set up with the right bus. Our service is impeccable. Nobody knows great service like our customers cause they get it day in and day out! We love our new and repeat customers and will always do what it takes to deliver outstanding, world-class service to each and every one. Our buses are decked out. You've seen the description and the pictures. Our buses are furnished with all the best amenities to keep everybody entertained for hours on end--TV, music, dancing, drinking. Who needs a night club? Our prices cannot be matched. No other party bus company will out do us in rates. We take great pride in providing not only exceptional services to our customers, but amazing rates to go with it. Safety is our #1 priority. Our goal is to ensure that everyone on board our buses not only have the time of their life, but are in safe hands while riding with us. Our drivers take responsibility in providing safe transportation and checking for under age drinking. We don't run late. We know that nothing ruins a party on a party bus like a bus that runs late. It will never happen on our watch. We take extra measures to ensure early and on-time arrival as well as getting everyone back to their final destination right on the clock. Our drivers are professional. Our drivers deliver extraordinary service with the utmost care, respect and professionalism. You will not service as great as those provided by our amazing drivers. Our buses are not only great for prom, birthday and bachelor parties, but are also perfect for group trips to Napa, Sonoma, Petaluma, Russian River, corporate or church trips, group outings and tailgating at baseball or football games, and just about any type of trip that involves a transportation for a large of people. Call us today! Our friendly staff members are ready to answer any questions you may have about our services and to find the bus that bests suites your needs and budget. We look forward to speaking with you!